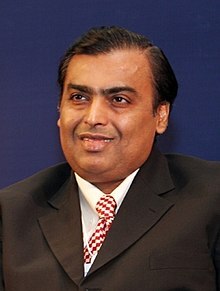 Mukesh Ambani the richest Indian with an asset of Rs. 3,71,000 crores. Second Hinduja, but far behind. Thanks to the Indian ruling class, Mukesh Ambani has a declared assets of ₹3,71,000 crore according to the Barclays Harun India Rich List, 2018. He is the richest Indian. There are 831 Indians having a net worth of ₹.1000 crore or more compared to 617 last year and the credit goes to the BJP government. S.P.Hinduja is second with a net worth of ₹.1,59,000. L.N.Mittal- ₹.1,14,500, Azim Premji- ₹. 96,000 and Dilip Shanghvi- ₹.89,700. The rich becomes richer and the poor, poorer. The aggressive implementation of the anti-people neo-liberal policy is imposing more and more misery on the common people.